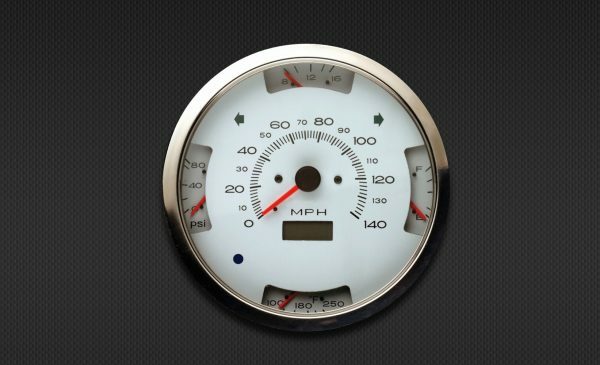 The 5 in 1 Gauge set features a stepper motor driven speedometer with scratch resistant glass lens, corrosion resistant bezel, illuminated in for excellent night visibility with a menu option to select Red/Green/Blue backlighting. Built in turn signals, high beam and fuel level warning. A and B trip odometers.Clock in speedometer LCD. Fuel gauge programmable for 240-33 ohms, 10-180 ohms or 0-90 ohms. Light programmable for red, green or blue.